Great for luaus, centerpieces, and more! Currently unavailable: More stock is on order. 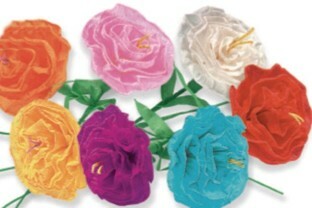 Paper flowers are perfect for decorations, bouquets or any themed celebration. 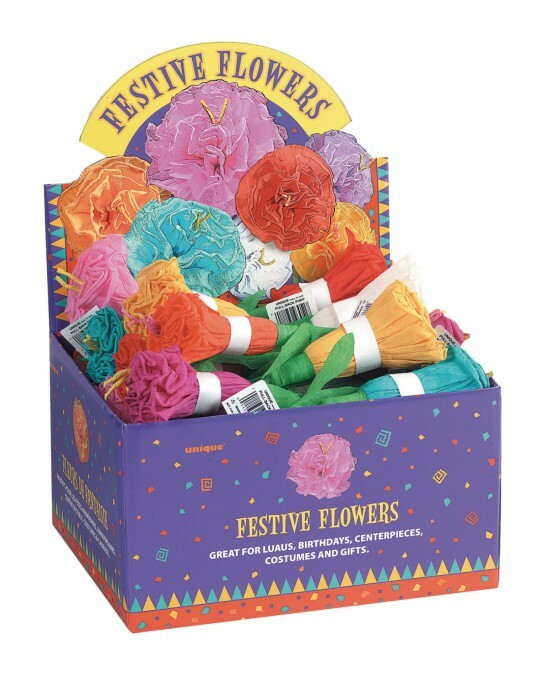 Also great for luaus, birthdays, centerpieces, costumes, and gifts. Comes in 7 bright colors. Measures 14-1/2”H x 4-1/2” in diameter. Box of 24.